✅ Trip Verified | Washington to Reykjavik. Absolutely the worst airline I've ever had the misfortune to fly on. Terrible seats, cabin temp had to be over 78-80, rude flight attendants, paid to upgrade and was denied at gate. Still waiting for refund. They lie. Do not fly with these people. ✅ Trip Verified | Gatwick to Edmonton via Keflavik. Terrible. The flights were average. But the gate agents charged us 120 for our car seat. After disputing the charge the next customer service reps told us "that would never happen" and allowed us to check our baggage for free. Except when we returned and we were charged another 120. I will never fly Icelandair again. Their miscommunications and ridiculous baggage charges for average service was terrible. And they damaged our luggage. ✅ Trip Verified | Edmonton to Glasgow via Reykjavik. Very poor service. Food poor, baggage not included and no mention of costs to baggage until you arrive. $126.00 per bag ridiculous. Customer service poor. Attitude unprofessional. Avoid this airline at all costs . "checked bags and food not included"
✅ Trip Verified | Seattle to London via Keflavik. My husband and I bought two way tickets, and somehow we didn't notice that checked bags and food were not included in the ticket price, so we ended up paying over $200 for only one checked bag for both, and meals (meals were rather just a sandwich). Our trip to our destination went well. On our return trip, we had a 25h stopover in Iceland, and leaving Iceland was a terrible hassle, from them giving us a hard time with our toiletries bag (that met regulations, and wasn't a problem in any of the previous flights) so we ended up needing to throw away some of our stuff. Then, we had extra security checks, long lines, that rather made us quite angry, and we are determined not to fly through Icelandair again. "last trip with this airline"
✅ Trip Verified | This was my first and last trip with this airline. The Boeing 757 from Vancouver to Reykjavik showed signs of age or neglect. The toilet was not working properly, the light in the washroom did not light up brightly. On the return flight, the door would not open and again there was a light issue. Flight attendants were unhelpful e.g. when asked whether I would still make my connecting flight any flight attendant would check, in my case it was an I don't know On my return flight when I posed the same question, the flight attendant said: run, they won't hold the plane for only two passengers. 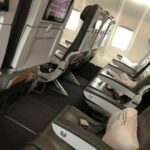 Had I not sat near the exit, not been able to run as fast as I could I would not have made my connecting flight to Vancouver. One wonders why a connecting time of 60 min is even permitted since the YVR to KEF flight will park in a field position. This means taking extra time to wait for the bus, then rush through passport control afterwards cross the entire airport to reach the international area. With one flight a day, any passenger missing their flight will be stuck in Reykjavik until the next day. There is no complimentary food service, but the food for purchase is not very tasty and overpriced. On my way from YVR to Reykjavik they only offered beverages once during a 7 and a half hour flight. On the 3:45 min flight to Munich however, they named through twice and offered water in between. On both legs the flights were late, which resulted in me having to rush and fear I would not make my connecting flight. 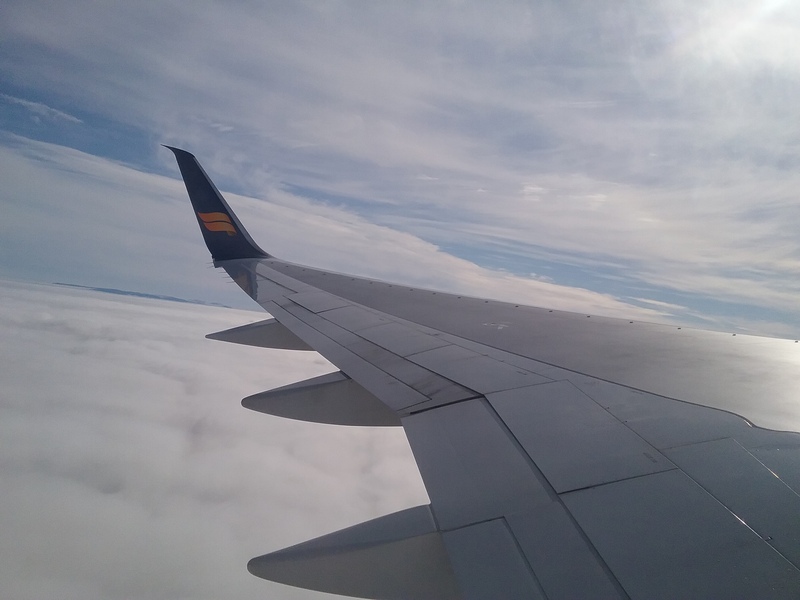 ✅ Trip Verified | San Francisco to Keflavik. I knew that Icelandair is a budget airline, but surprisingly the flights themselves were first rate - they departed on time and arrived earlier than scheduled. I commend the crew on being professional in this regard. However, everything else was poor! Starting with my seats. I specifically need aisle seats, and chose 15G for the departing flight and 38B on the return flight. Both seats were chosen at random, and even so, in checking with Seatguru.com there is no mention that both of these seats were bad. However, they were terrible. There was no way possible to fit my backpack (i.e. my carryon bag). Why? Because some idiot decided to place a huge horizontal plastic contraption right under the seat in front of mine thereby blocking the possibility of placing anything other than a tiny (4" x 4") item underneath. So I needed to put my backpack in the overhead cabinet. Then on my departing flight a flight attendant (more likely) or another passenger thought it would be cool to move my backpack without my knowledge to the other overhead cabinet across the aisle from me although there was no need to do that. This caused panic when I arrived to open my overhead cabinet and not find my backpack! Had to search frantically before finding it. The cabin crew on the departing SFO flight were okay (two were anyway). However, when it came to the 'meal' service I prepaid for two meals (for my son and myself) yet they claimed I paid for none. They asked to make copies of my receipt so fortunately I thought to print it out and bring it with me. Remember this in case you prepay for anything via their website!! Because this pattern followed for the return flight as well: The cabin crew claimed that I only paid for one meal when my receipt (and my credit card statement) clearly showed that I paid for two meals instead. In fact, before my return flight I paid for extra baggage and received confirmation online. Yet when I got to KEF the staff said I did not pay for second piece of luggage, that it's probably late in showing in their system! What a lie because it had already shown up instantly when their website charged my credit card days prior. 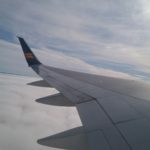 Furthermore to their service, I find that overall the Icelandair cabin crew members to be sour, sullen, and really rude. At one point, for instance, the couple in front of us decided to use their right to recline all the way even when it was meal time. I kindly asked the flight attendant to ask them to have them put their seats up. Instead of complying like what other airlines' flight attendants would do without any hesitation, she instead told me that I could recline and eat! I got terribly irritated at that rude reply that I told her that I never eat while reclined. She did finally but reluctantly. To be fair, there were a few (a few mind you) crew members who did their jobs well and were not rude. Also there are tons of staff just milling around gossiping at KEF because it's the passengers who need to do self-service check in! Food was inedible. Not even fit for animals. And exorbitant prices too. Just buy your own at the airport and bring on board. Honestly. Entertainment: Outdated films, head phones costs 5 euro! ✅ Trip Verified | Boston to Dublin via Keflavik. I highly encourage all people who book through Iceland Air to not purchase their insurance since they make it very difficult to actually make a claim. This is not a general cancellation insurance. It only covers medical situations covered by a doctor's note. This is very inconvenient and not what most people consider typical cancellation insurance. I even supplied a doctor's summary diagnosis but they rejected it since it was not signed by the doctor. I will chalk this up as just another way that Iceland Air nickel/dimes you after you purchase their tickets. "bad way to treat customers"
✅ Trip Verified | Keflavik to Newark, had ticket with assigned seats. At checkin Icelandair changed seats, saying assigned seats cost more and we had to paid up or take what they offered. On the 5 hour flight home the first seats assigned to us were empty all the way. Very bad way to treat customers. Never again. 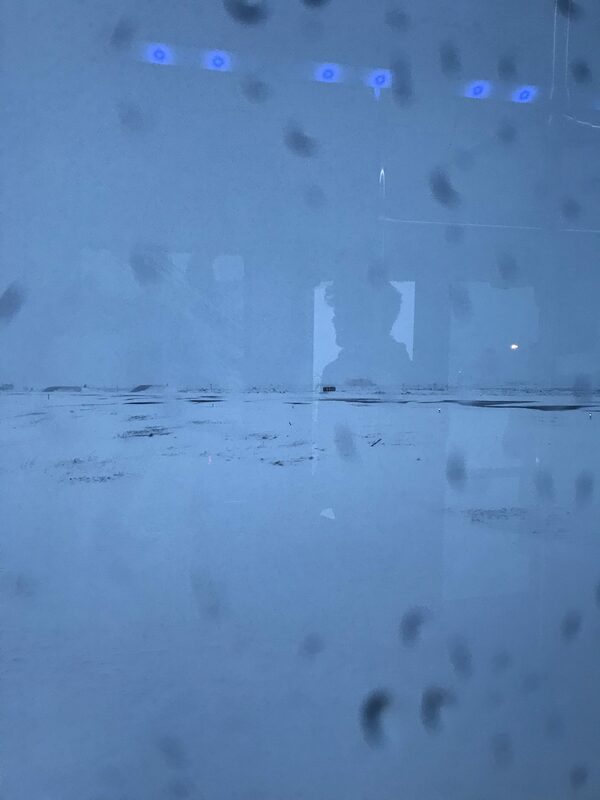 Not Verified | Manchester to Halifax via Rejaykvik. Pre-ordered food never arrived. 4 flights, of which 3 had technical issues causing delays. Lounge in Manchester is awful. No lounge in Halifax. Baggage left outside and soaked in Iceland. No access to lounge in Iceland because it is on the other side of security. Rejaykvik airport so busy - nowhere to sit. Security queues too long to use lounge Avoid at all costs. I'd rather go Ryanair and that's saying something. To cap it all, on the back of three business class flight tickets they offered £30 compensation in points. I didn't bother responding. My time better spent here. ✅ Trip Verified | Oslo to Keflavík in Saga Class. 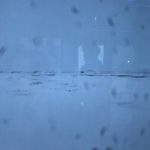 If there's one thing that Icelandair is good at, it is its on-time performance for the most part. This 3 hours flight was pleasant, and on-board service was warm. 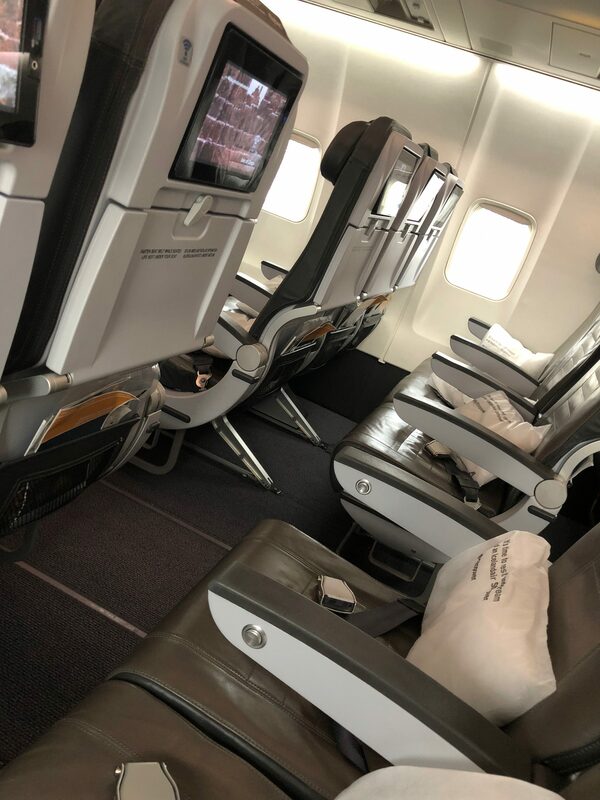 Icelandair's Saga Class seat, while comfortable for shorter flights, is way behind the times.